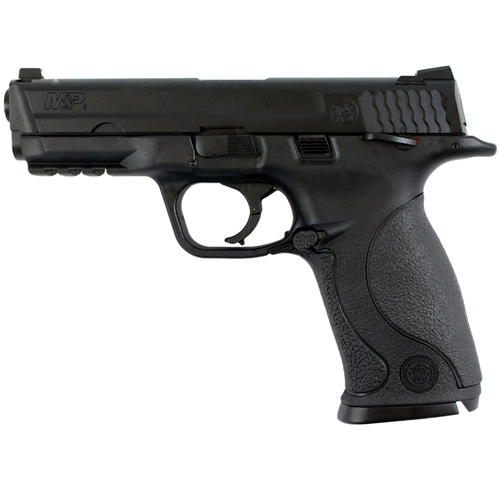 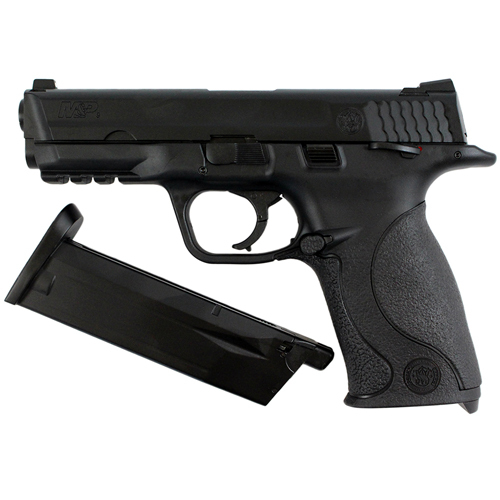 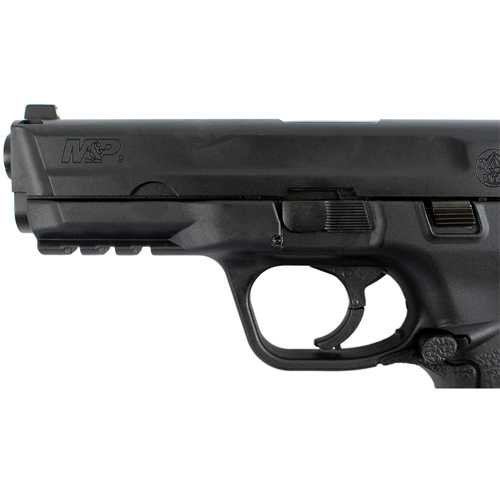 The Smith & Wesson M&P9 is a lightweight pistol with customizable grips, ambidextrous features and an extended base plate. 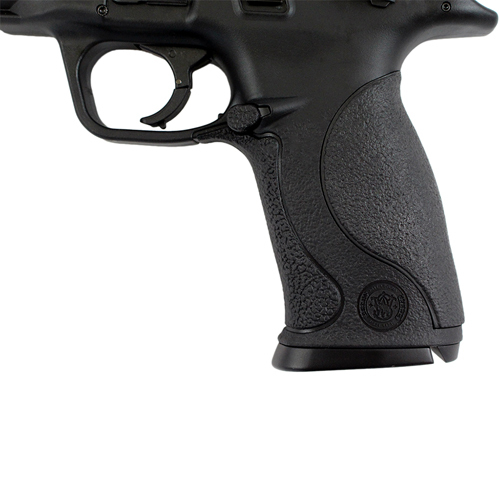 It is designed to fit perfectly in the palm of your hand. 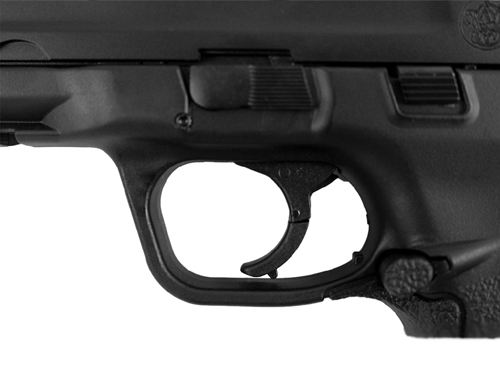 The company's focus on grip means that you maintain control despite substantial blowback and recoil features. 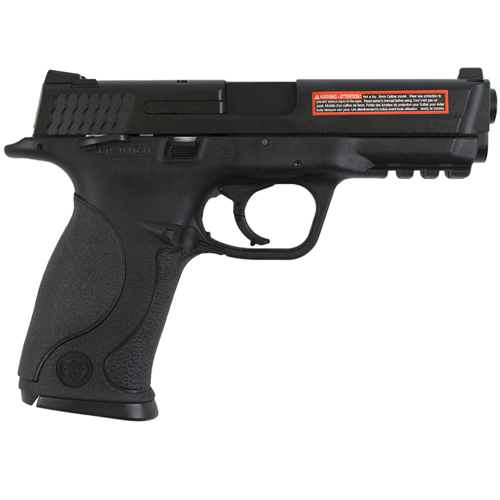 The Smith & Wesson name is well represented by this compact, realistic pistol.